The Smartabase Apple iPhone and iPad software, and the Android software (Mobile Applications) have different features and capabilities compared to the software that you access when you login to your Smartabase software online. You will not have access to all of your Event Forms that you normally access on the online and installed version of the software. 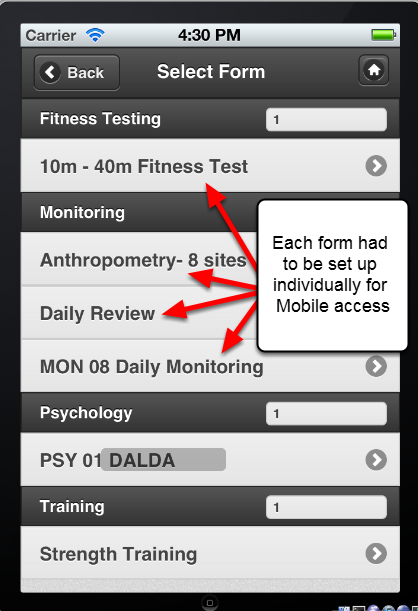 If one of your Event Forms is NOT available on the system, you can ask your Site Builder/Administrator to set this up.